I dunno if this news will be a good or bad. Variety just reported that Ryan Reynolds is chosen to play Hal Jordan in the upcoming big screen adaptation of DC's Green Lantern. Ryan Reynolds has landed the coveted role of “Green Lantern,” getting the starring role in Warner Bros.' live-action film based on the DC Comics hero. Martin Campbell will direct. The studio is still working on the picture’s budget, but production is expected to begin in January. 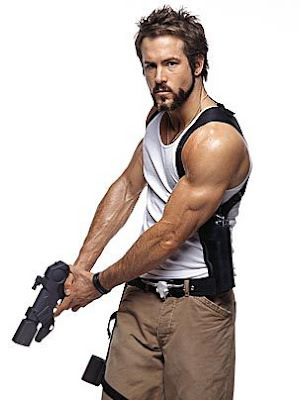 The news caps off a memorable summer for Reynolds, who played Deadpool in “X-Men Origins: Wolverine,” a performance that prompted Fox to begin development on a spinoff film. Reynolds followed that by starring opposite Sandra Bullock in the romantic comedy “The Proposal,” which crossed the $100 million mark this week. I'm not really a heavy reader of Green Lantern. I hardly know Hal Jordan's Origin so I can't comment on how Ryan is suitable for the character. But one thing is for sure, Ryan is a versatile actor that can perform well in different genre whether it is comedy, action, suspense thriller, superhero or independent drama. But what really worries me is on how will he handle all the work load now that hehad Deadpool and Green Lantern on the lineup? Well I think this guy is tough enough to handle all the work, and let's see how can he pull this out or will he be sacrificing a project to give way to one. wooot! that's my fave character in DC!